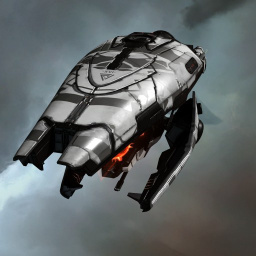 Based on the Triglavian Damavik-class frigate, the Hydra is an experimental vessel from the Society of Conscious Thought that melds elements of Society technology and design philosophy, with the underlying hull and unique Triglavian systems. In particular, support for covert ops and scan probe technology was added to the ship's already formidable array of capabilities. In mid YC120, the SoCT provided limited numbers of blueprints for the experimental Hydra design as part of their sponsorship of the capsuleer Alliance Tournament XVI. The Hydra was given out to the winner of the Alliance Tournament XVI, along with the Tiamat. Only 50 of each were given out, so it is a rare collective item. No sub-article about Hydraroles or piloting tactics. You can write them here. This page was last modified on 19 December 2018, at 11:26.